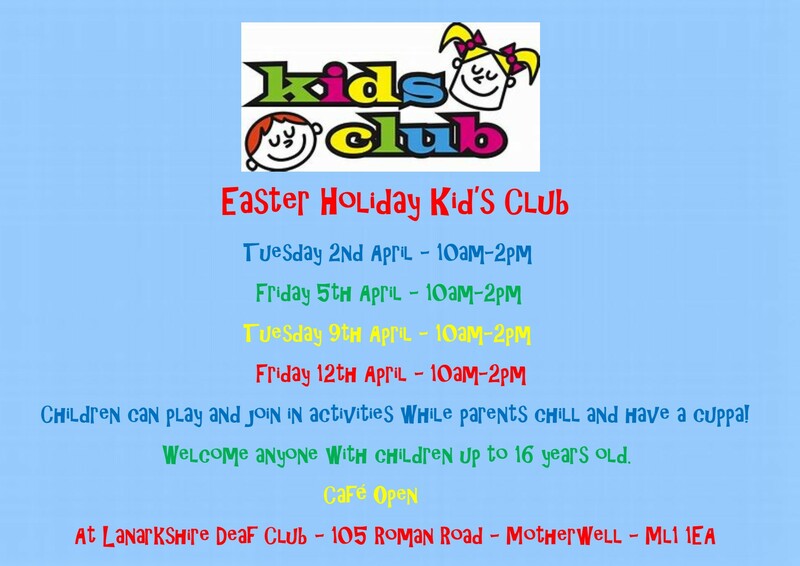 Welcome anyone to the kids club at Lanarkshire Deaf Club on a Tuesday or Friday during the Easter school holiday. 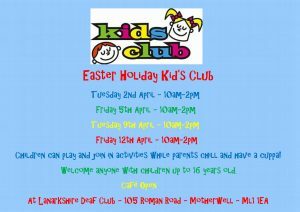 Information on poster. Its free.